... a small selection of our new members. Our new CaraTour is a real adventurer! That’s why we’ve created it without anything that could distract you from discovering the world. Made to discover the world. No matter whether winding inner city alleys or extensive beach promenades: The CaraBus simply takes you wherever your holiday heart takes you. More space than one would expect from its slim design! Convincing. Versatile. 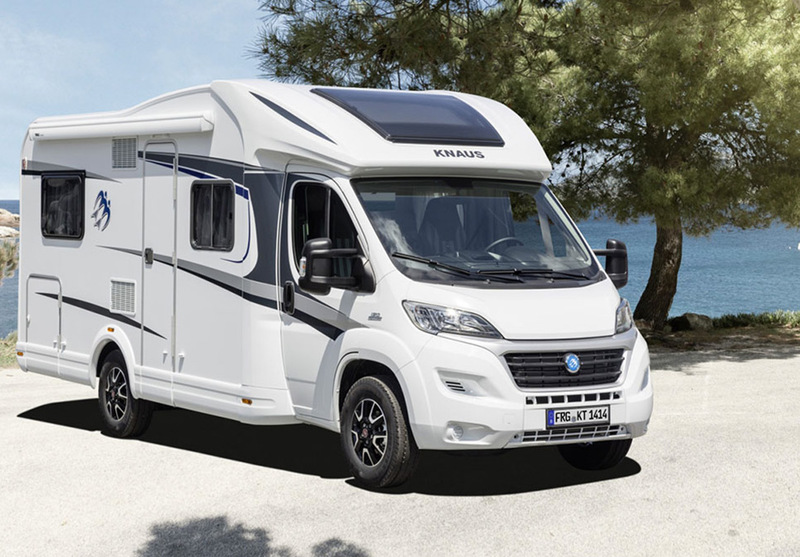 Discover the tremendous freedom on an overall length of 5.99 m. The KNAUS BoxStar 600 offers an unsurpassed range of models. Rear lateral bed, variable double bunk beds and a fixed bathroom! Your flexible partner – also in urban traffic! The CaraCompact is the little big companion for your adventures. Compact on the outside, it offers enough space inside for everything the adventurer’s heart desires. Extra sharp special model with a lot of brilliant extras! Under its dynamic shell, it offers the sleeping comfort of a full-grown 4-person model and the travel comfort of a dynamic semi-integrated. Discover the CaraSuite, our brilliant semi-integrated with fold-down bed! Good when one has a lowerable bed and even better when one cannot see it. Just as in the KNAUS SKY WAVE. The heavenly dream landscape is integrated perfectly in the roof and provides the most sleeping space in his class. The perfect Motorhome for family and friends!